Is this a case of life imitating art, or the other way around? Perhaps to get out of debt, George Zimmerman put up an original painting on eBay — and bidding has already neared $100,000. In July, Zimmerman was acquitted of murder in the racially charged case of Florida teen Trayvon Martin. Zimmerman claims he shot Martin in self-defense while the 17-year-old was walking in Zimmerman's community. The eBay painting depicts a blue-shaded American flag topped with the words "God, one nation, with liberty and justice for all." (Ironic?) Zimmerman's signature appears at the bottom. Florida's Bay News reports that Zimmerman's brother, Robert Zimmerman, Jr., confirmed the painting was actually done by George and that the auction is legitimate. It currently has 207 inquiries, with the highest bid currently at $99,966. If you're interested in placing a bid, you have four more days to enter a price of $100,066 or more. You won't get it in time for Christmas, though. Zimmerman promises the artwork will be delivered by Dec. 26, for a shipping fee of 40 bucks. Zimmerman also apparently set up a Twitter account to market his paintings and express his religious beliefs. Zimmerman's lawyer says he has accrued $2 million of legal debt — and not just from his murder trial. 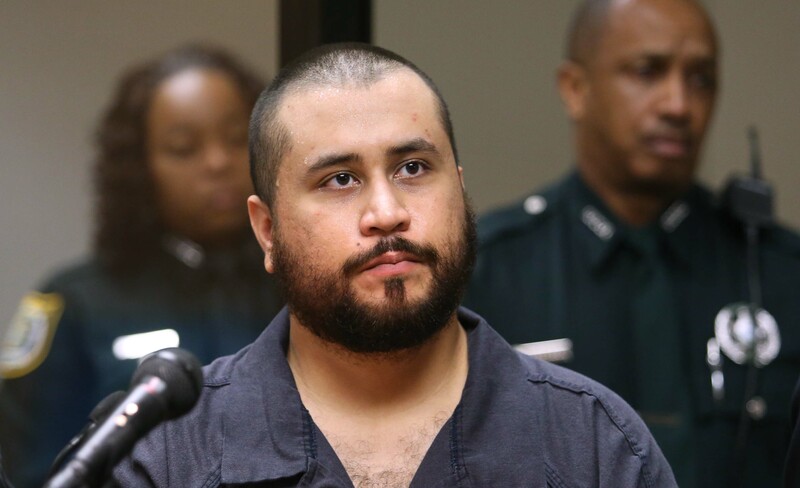 Since the Martin case was dropped, Zimmerman has hardly been keeping a low profile. He's faced two separate charges of domestic violence from his girlfriend and soon-to-be ex-wife, and was stopped for speeding in possession of a handgun. Even if Zimmerman doesn't become the next Van Gogh, he will forever embody the real-life mishaps of a Florida Man.